Booking your artist is simple. Just go to the contact page and choose your preferred method of reaching out. We understand you have questions so lets see if we can answer some frequently asked ones first. 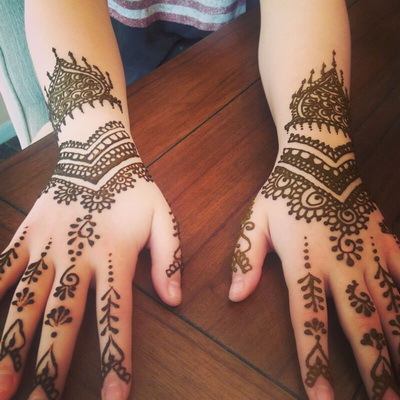 Our henna is all natural and hand mixed in house which means its 100% safe for everyone. The henna stain (tattoo effect) will last a week looking good. It may last longer if properly cared for and its possible to see it on the skin for up to 12 days. We don’t require any special seating areas. We need a small table and two chairs. Good lighting always helps too. 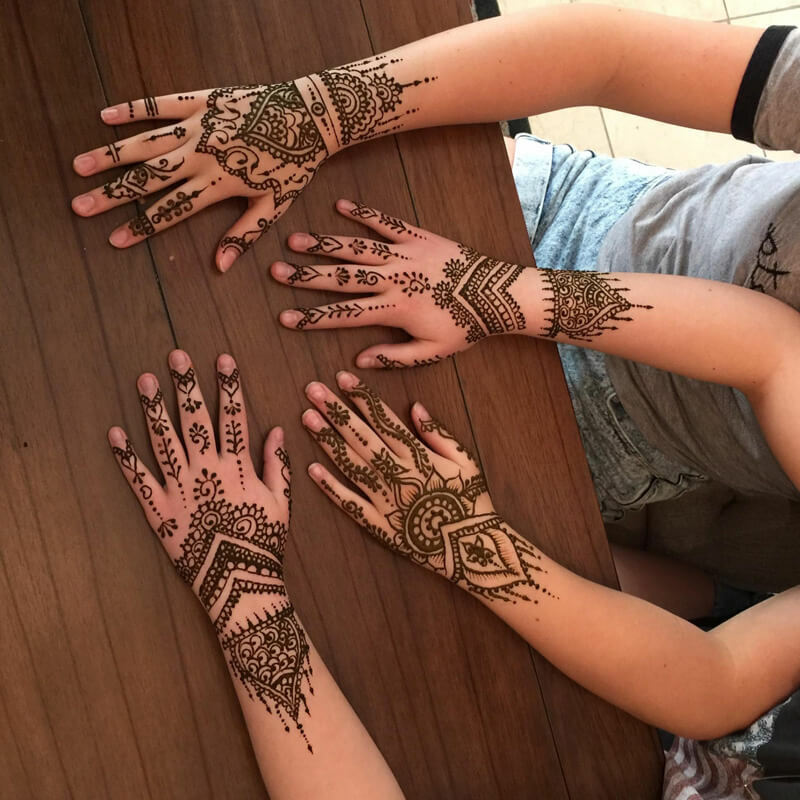 Drying time: Our henna takes 20 minutes to dry. Faster if it’s outside in LA weather. How many, how fast? 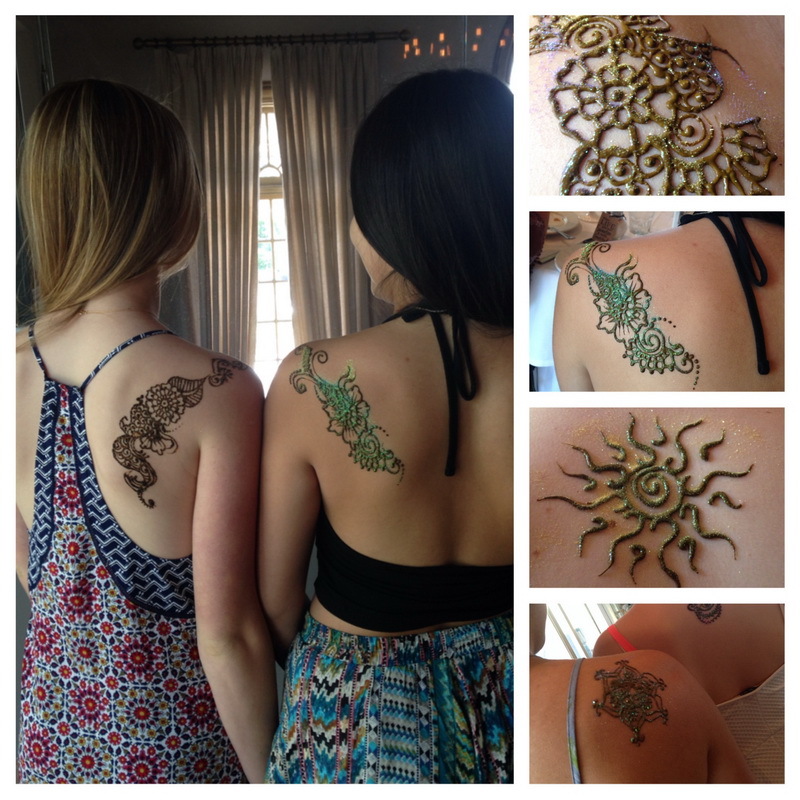 We go with the flow depending on how long you hire us for, and how many people are waiting to receive henna. 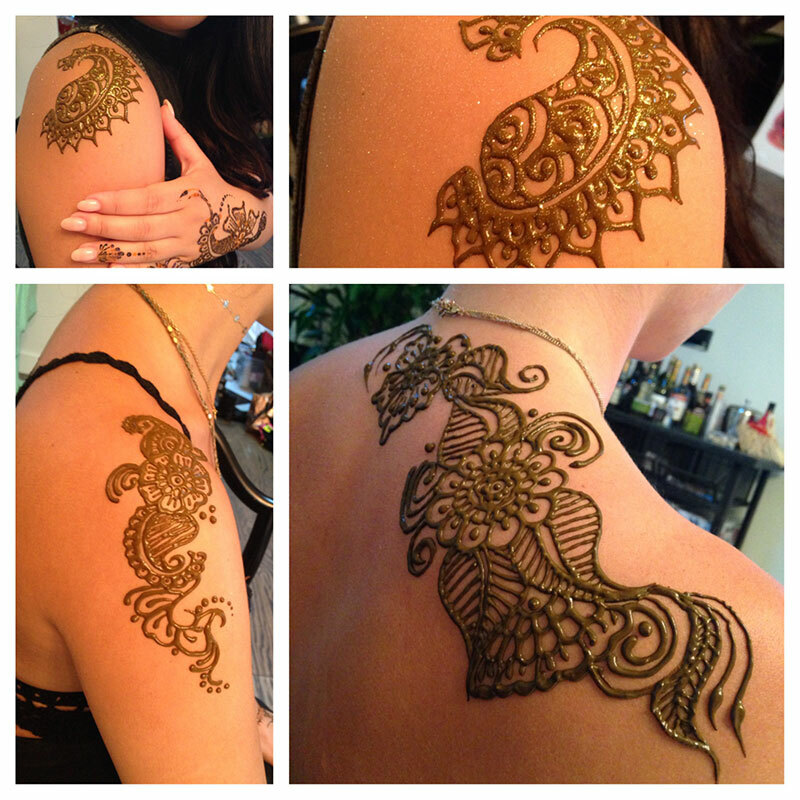 Arabic Mehndi (the art of henna tattooing) is one of the most commonly known types of Mehndi designs. It’s composed of large simple floral patterns beautifying the hands and feet of women, though reflecting the skill and expertise of the artists and individuality of designs from all other traditions surrounding the Arabian Peninsula. 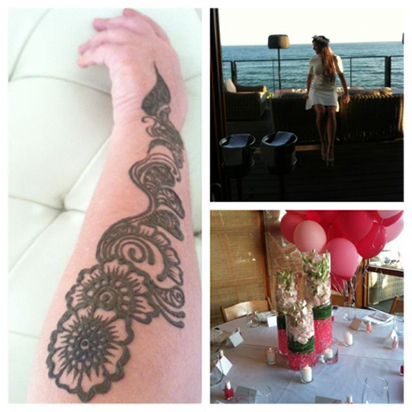 Arabic Mehndi uses trailing, bold flower designs with open spaces on only one side of hands and feet. The designs don’t necessarily cover your hands and feet all the way. Arabic patterns leave more skin showing than Indian or Pakistinian patterns. Arabic mehndi consists mostly of floral designs. Animal figures or humans are not usually used. Indo Arabic design combination of Indian & Mughal Arabic mehndi designs with the smallest shapes. All my designs I do are free hand style, I don’t use a book to copy from. Each design I do is unique to the next, using different forms and twists to mix them up. Pictured above is what I did for Wedding Nouveau Magazine, summer issue 2012.